Under the requirements of the new European General Data Protection Regulation (GDPR) (EU) 2016/679 on data protection and privacy for all individuals within the European Union and the European Economic Area, www.lossestenen.nl (lossestenen.nl) has the obligation to safely store and process the data you provide only for the purposes mentioned in this document. 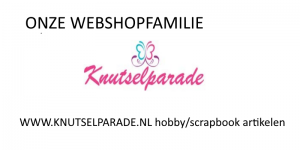 De www.lossestenen.nl (lossestenen.nl) website wordt gerund door Erik Boeré Philatelie, geregistreerd onder het bedrijfsnummer BTW 80 057 9057 B 01 en het kantoor is gevestigd in Julianastraat 94-96, Zuid-Holland, Alphen aan den Rijn. www.lossestenen.nl (lossestenen.nl) is a Data Controller for the data that you provide to us as Data Subject. 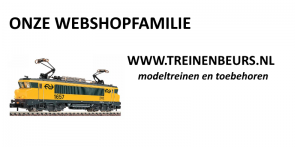 Sending you promotional and advertising messages regarding the retail offering of www.lossestenen.nl (lossestenen.nl), but only if you have given your consent. We may share your personal data with our service providers, suppliers, business partners and sub-contractors, search engine and web analytics providers. www.lossestenen.nl (lossestenen.nl) does not store any information about your credit card. We will not keep your personal information for any purpose(s) for longer than is necessary and we will only retain the relevant personal information that is necessary in relation to the purpose. We will retain the personal information you provided on registering an account on our website so long as that account remains in existence. Following your request that you can send to www.lossestenen.nl (lossestenen.nl) by email at webmaster@example.com or by accessing the designated features available within your user account on the website, you can request the cancellation of you user account and the deletion or anonymization of your information.